S. Ravindra Bhat & R.K. Gauba, JJ. P. Roy Chaudhuri, Sr. Standing Counsel, N.P. Sahni for the Revenue. : Ajay Vohra, Sr. Advocate with Kavita Jha and Vaibhav Kulkarni, Advocates, for the Respondent. 3. The relevant facts are that the assessee, a firm set up in 1984-85, is in the business of developing land for commercial, residential, retail, industrial parks, information technology parks, SEZ, etc. During AY 2007-08, the assessee filed its return reporting an income of Rs.1,67,95,360. Scrutiny assessment notice Section 143(2) of the Income Tax Act, 1961 (hereafter referred to as “the Act”) was issued on 22.07.08. During assessment proceedings, the Assessing Officer (“AO”) observed that the assessee had in its Balance Sheet shown stock of Rs. 34,55,60,19,667/-and Current Liabilities as Rs. 34,86,09,08,730/-, whereas in the Cash Flow Statement, it had shown stock of Rs. 34,55,54,73,615/-and Current Liabilities as Rs.34,85,91,89,394/-. Further, the AO asked the assessee to explain the transaction in respect of which advance of Rs. 3038.65 crores was received from M/s DLF Ltd. and also the transaction of Rs. 446.30 crores with M/s Caitlin Builders and Developers Private Limited (“CBDL”), later known as M/s DLF New Gurgaon Homes Developers Pvt. Ltd. The assessee responded that it had entered into an agreement with the said companies for development of land and in pursuance of the agreement, it had also advanced sums to certain Land Owning Companies (LOCs) which were engaged in acquiring licenses from relevant State authorities as well as land from various land-holders. The AO observed that M/s DLF Ltd., for financial year ending 31.03.2007, treated the advance given to the assessee as „stock’. Similarly, CBDL had also shown the same treatment in the annual accounts under the head “money and advance – advance for land purchased”. Based on this, the AO sought an explanation from the assessee as to why these advances received from M/s DLF Ltd. and CBDL should not be treated as sale for the purpose of determining total income. The AO inferred that since the assessee was in the business of purchase and sale of development rights, it had sold development rights in the financial year in question. The AO was of the opinion that while development rights were actually sold the same did not reflect in the sales account-due to understated values in the Cash Flow Statement as compared to the Balance Sheet. After working out the difference between Current Liabilities and Stock, an addition of Rs. 30,37,15,779/-was made to the income of the assessee. Similarly, for AY 2008-09, the AO added Rs. 15,70,196/-on account of undisclosed sale of development rights. Further, the AO added a sum of Rs. 19,09,83,236/-under Section 40(a)(ia) of the Act for non-deduction of TDS on reimbursement expenditure paid to M/s DLF Land Ltd., though the latter entity had deducted TDS on the payments made by it as a facilitator on behalf of the assessee. The assessee appealed against the AO’s orders for the two assessment years before the Commissioner of Income Tax (Appeals) (hereafter “CIT(A)”). The CIT(A) held that no rights had crystallized in the financial years in question, and the AO had not furnished any evidence to prove the contrary. In the second appeal, on the issue of addition of Rs. 19,09,83,236/-for non-deduction of TDS as well, the CIT(A) ruled in favour of the assessee and deleted this amount. Thus, the appeals were decided in favour of the assessee for both the assessment years. The Revenue’s appeals in both the cases were dismissed by the ITAT, which upheld the findings of CIT(A). Aggrieved, the Revenue is in appeal before this Court. Mr. N.P. Sahni, learned counsel for the Revenue, assails the decisions of the ITAT in respect of the first issue on the ground that the stock and current liabilities shown in the cash flow statement do not match with that shown in the balance sheet. He submits that the decreased stock in cash flow statement implies that the assessee has actually sold the development rights during the year while decreased amount under current liabilities is receipt against the decrease in stock. Learned counsel submits that in terms of the assessee’s accounting policy, sale of developed plots was recognized in the financial year in which the agreement to sell is executed. The AO had rightly concluded that the assessee had not declared the net receipts of sale of development rights in its income-tax return. He submits that by agreement to sell dated 02.08.2006, the assessee agreed to assign or transfer the development rights to M/s DLF Ltd. or its affiliate and the MoU dated 06.12.2006 entered into with CBDL established that the development rights purchased by the assessee till 06.12.2006 were sold to M/s DLF Ltd. The payment received by the assessee pursuant to such sale of development rights was now being claimed as advance received by the assessee.The assessee’s submission that the same was shown as income for subsequent assessment years is nothing but deferment of tax liability to other years. On the second issue arising in ITA No. 507 of 2013, learned counsel submits that the assessee ought to have deducted TDS on the total amount reimbursed by it to M/s DLF Land Ltd., and the TDS actually deducted by the assessee towards M/s DLF Land Ltd.’s service charge does not suffice. Therefore, the CIT(A) and ITAT were wrong in deleting the addition of Rs. 19,09,83,236/-made by the AO. 9. Mr. Ajay Vohra, learned senior counsel appearing on behalf of the assessee supports the findings of the CIT(A) and ITAT and submits that the AO erroneously added the amounts on account of income arising from sale of development rights in the two assessment years in question. Mr.Vohra contends that the assessee had itself not acquired development rights in the lands which, according to the Revenue, had been transferred to DLF Ltd. In fact, the assessee was in the final stages of negotiations for acquisition of development rights for certain lands situated in Gurgaon, Haryana from various land owning companies, and there was no way it could assign or transfer development rights either to M/s DLF Limited or to CBDL. It was further contended that transfer/sale of development rights is dependent on various terms and conditions of such agreements. These agreements contain clauses which give the option to parties to terminate the arrangement if certain conditions are not fulfilled. It was pointed out by the assessee that it mainly received these amounts as advance as per its regular system of accounting and that no income has actually accrued or arisen to the assessee from such agreements. The assessee follows the mercantile system of accounting. The assessee submits that in terms of consistently followed accounting practice, sales and purchases are recognized only on registration of sale/purchase deed. Till the sale deed is registered, the amount received from M/s DLF is treated as “advance” and the amounts paid to land owning companies also be treated as advance paid only. Assessing Officer has misunderstood this position and tried to imply that the assessee is following Cash System of accounting and has accordingly made the addition. The amount received by the assessee cannot be treated as income in the hands of the assessee. Mr. Vohra further submits that deletion of amount paid to M/s DLF Land Ltd. from the income of the assessee under Section 40(a)(ia) of the Act is justified as the payment was made for the purposes of reimbursement of expenses handled by M/s DLF Land Ltd. on behalf of the assessee, and the assessee had duly deducted TDS on the service charges paid to M/s DLF Land Ltd. by the assessee. The assessee entered into an agreement dated 01.04.2007 with the said company to carry out activities like maintenance of books of accounts and getting the accounts audited, maintenance of secretarial records, filing with various statutory authorities etc. M/s DLF Land Ltd. was entitled to service charges @ 5% of the total expenditure incurred. During AY 2008-09, the assessee reimbursed Rs. 19,69,83,236/-and also paid service charges @ 5% on it amounting to Rs. 98,49,106/-. It deducted TDS amounting to Rs.10,35,057/-and deposited the said amount. Since the reimbursement of expenses was not taxable, learned senior counsel submits that the assessee was not required to deduct TDS on the entire amount.Reliance is placed on this Court’s rulings in CIT v. Industrial Engineering Projects Pvt. Ltd., 202 ITR 1014 (Delhi) and CIT v. Fortis Health Care Ltd.,  181 Taxman 257 and the Supreme Court’s decision in Hindustan Coca Cola Beverage Pvt. Ltd. v. CIT,  293 ITR 226 (SC). The concurrent findings of fact of the CIT(A) and the ITAT affirm that the LOCs had not acquired any development rights during the concerned assessment years. In such a situation, it is inconceivable as to how the assessee could have acquired such rights from the LOCs, let alone transferring them to M/s DLF Ltd. and CBDL. This Court does not find any basis provided by the Revenue to interfere with ITAT’s finding on this aspect. The revenue places reliance on the assessee’s accounting policy – mentioned in Schedule 7 of the auditor’s report for AY 2007-08 – which states that „sale of developed plots is recognised in the financial year in which the agreement to sell executed’. Pertinently, the financial statement for AY 2008-09 states that „[s]ale of development rights is recognized on accrual basis in the financial year in accordance with the terms of the agreements entered into with the customers’. According to the Revenue, the alleged sale by the assessee to M/s DLF Ltd. and CBDL was of „development rights’ acquired from LOCs. However, as held above, since no rights were in fact sold in the two assessment years in question by the assessee to either M/s DLF Ltd. or CBDL, no income from such sale can be brought to tax by the Revenue. “Sale of development rights is recognized on accrual basis in the financial year in accordance with the terms of the agreements entered into with the customers”. In the instant case, since no sale occurred, no income can be said to have accrued to the assessee. The assessee’s submission that sale is deemed to have taken place when proper conveyance is executed, in the circumstances is sound. In the absence of any sale, the revenue’s attempt to bring to tax the advances received by the assessee must also fail, given that such advances were not towards any income that the assessee was entitled to receive in the two assessment years. Indeed, the Business Development Agreement dated 02.08.2006 between M/s DLF Ltd. and the assessee and the Memorandum of Understanding dated 06.12.2006 between M/s DLF Ltd., the assessee and CBDL indicate that the advances received by the assessee from M/s DLF Ltd. and CBDL were for sale of development rights. Since the assessee failed to sell any such rights in the two years in question, the advances received cannot be classified as income. 16. Therefore, this Court affirms the ITAT’s ruling on the first question of law and holds that the AO had erroneously added the amounts to the assessee’s income on account of sale of development rights for AY 2007-08 and AY 2008-09. The AO disallowed the amount of Rs. 19,69,83,236/-as deduction for the reason that the assessee deducted TDS only on the service charges paid by it to M/s DLF Land Ltd. According to the AO, TDS ought to have been deducted under the amount paid by the assessee towards reimbursement expenses to M/s DLF Land Ltd. This Court holds that the CIT(A) and the ITAT rightly set aside the AO’s order, ruling that the assessee was not required to deduct TDS on reimbursement expenses paid to M/s DLF Land Ltd. The assessee has correctly relied upon this Court’s ruling in Industrial Engineering Projects Pvt. Ltd., (supra). A Division Bench of this Court in that case specifically held that “reimbursement of expenses can, under no circumstances, be regarded as revenue receipt” and therefore, it is not liable to income tax. 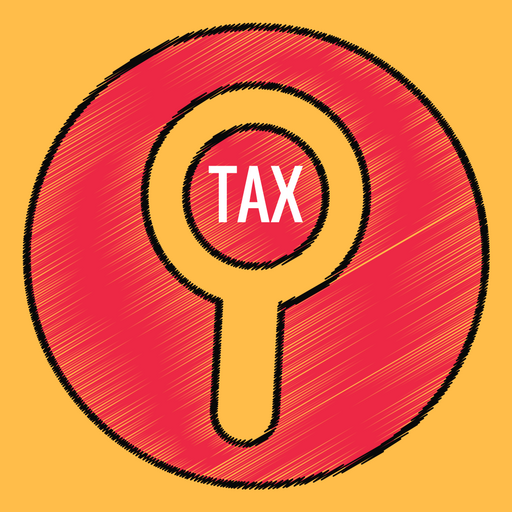 The Court relied upon the Supreme Court’s decision in CIT v. Tejaji Farasram Kharawalla Ltd.,  67 ITR 95 (SC), where the Court had held that it is only the amount that exceeds the expenditure incurred by the agent that would be liable to tax. More recently, this Court in Fortis Health Care Ltd. (supra) has also held that amount received towards reimbursement of expenses is not taxable under the Act. In the instant case, it is undisputed that M/s DLF Land Ltd. had deducted TDS on the payments made by it under various heads on behalf of the assessee. Further, it is also not disputed that the assessee deducted TDS on the service charge paid by it to M/s DLF Land Ltd. on the reimbursement expenses. In such circumstances, this Court holds that the entire amount paid by the assessee to M/s DLF Land Ltd. is entitled to deduction as expenditure. In arriving at the aforesaid conclusion, this Court derives support from the Gujarat High Court’s decision in Commissioner of Income Tax-III v. Gujarat Narmada Valley Fertilizers Co. Ltd. (in Tax Appeal No. 315 of 2013, decided on 25.06.2013), where the facts were similar to those in the present case. The Court therein rejected the revenue’s contention that non-deduction of TDS on reimbursement expenses would lead to disallowance of such reimbursement expenditure. The Court noted that the payee therein had already deducted tax on the various payments made by it to third parties (such as towards transport charges and other charges). Since the payments made by the assessee therein were only for the reimbursement of expenses incurred by the payee on behalf of the assessee, the Court held that no TDS was required to be deducted by the assessee. A special leave petition preferred by the revenue against the High Court’s decision was dismissed by the Supreme Court on 17.01.2014 (in SLC CC No. 175 of 2014). This court is also supported in its reasoning by the text of Section 194C (TDS for “work”) and Section 194J (TDS of income from “professional services”-the latter expression defined expansively by Section 194J (3) Explanation (a)). Neither provision obliges the person making the payment to deduct anything from contractual payments such as those made for reimbursement of expenses, other than what is defined as “income”. The law thus obliges only amounts which fulfil the character of “income” to be subject to TDS in such cases; for other payments towards expenses, the deduction to those entitled (to be made by the payeee) the obligation to carry out TDS is upon the recipient or payee of the amounts. The facts of this case are identical to those in Gujarat Narmada Valley (supra) and for the reasons stated above, this Court does not find any compelling ground to arrive at a different conclusion. Thus, the ITAT’s ruling in this regard is upheld. In light of the above, both questions of law are answered in favour of the assessee and against the revenue. The ITAT’s decisions in ITA Nos. 627 of 2012 and 507 of 2013 are upheld. ITA 627/2012 and ITA 507/2013 are accordingly dismissed. There shall be no order as to costs. This entry was posted in Sec. 143(2), Sec. 194C, Sec. 40(a)(ia), Section 40 and tagged 379 ITR, deductions u/s 40(a)(ia), Delhi High Court, In favour of Assessee. Delhi H.C : Whether the assessee is entitled to depreciation in respect of the hotel building, under Section 32 of the Act?